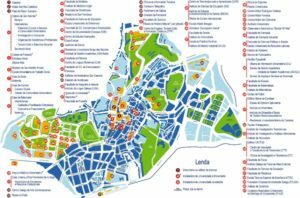 In this section you will find the Santiago de Compostela Airport Guide with information on Wi-Fi, recreation areas, facilities and services, traveler reviews on the airport, and the names of some airport hotels in case you decide that an overnight stay at the airport is it is not for you. To help organize your time at the airport, we offer traveler reviews on how they spent time at Santiago de Compostela International Airport. A small, newly built single terminal airport with clean rooms and many shops and restaurants. Restaurants close at night, so it is possible to have a bite to eat even late at night! 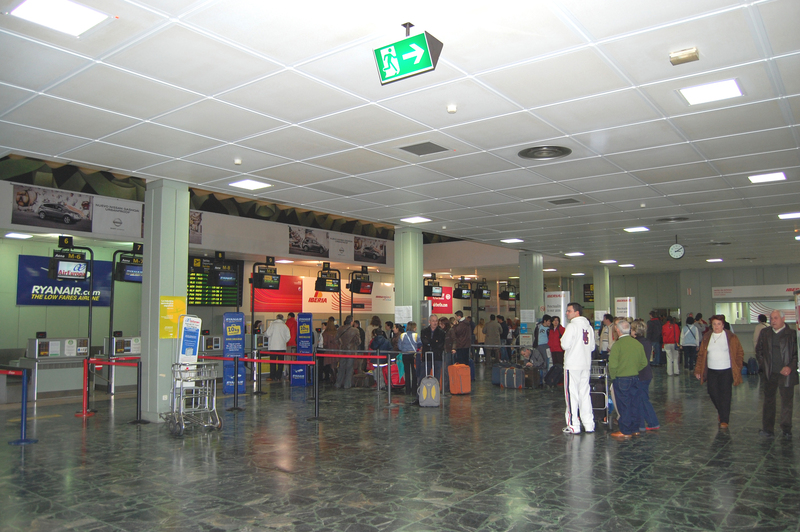 Santiago de Compostela serves mainly seasonal flights. Electrical outlets are available throughout the terminal. There is free wifi. Read more about this in the Wi-Fi / Internet section below. Airport staff attentive to overnight travelers! At night it is quiet and calm here, and the security staff is kind and compliant. For more information on services and amenities, go down below while continuing to explore the Santiago de Compostela Airport Guide. Send us your feedback on the airport to help us keep this information up to date. Free unlimited Wi-Fi is available at Santiago de Compostela Airport. Connect to the «kubiwireless» network. (SSID: Airport_Free_Wifi_AENA). Hotel Garcas — (3 minutes from the airport). This is the closest hotel to the airport. A public bus stops right outside the hotel every 30 minutes. Hotel Ruta Jacobea — (5 minutes from the airport). Free shuttle service to and from the airport is available until 23: 00h. You must contact the hotel in advance to order delivery from the airport. Hotel Pazo Xan Xordo — (5 minutes from the airport). There is no shuttle service, but there is a bus stop at the end of the lane, from where you can get to this hotel by bus. Hotel Hotel Amenal — (6 minutes from the airport). Located at the end of the camino. There is no transfer from the airport. To find affordable accommodation, use the Tripadvisor website, which has a list of all hotels at Santiago de Compostela Airport, as well as the ability to sort hotels by price. ATM / ATMs — 2 ATMs in the arrival hall. Shopping — Duty Fre, as well as other stores. Food and Drinks — There are three places at the airport, but none of them serve visitors around the clock: Caffriccio (outside, 1st floor), II Caffe di Roma (outside, 0 floor), La Pausa (inside, 1 floor). Information desk — Location: common access area. Luggage storage — lockers are located on level 4, next to the car parking. Price: € 5.07 for 1.5 days. 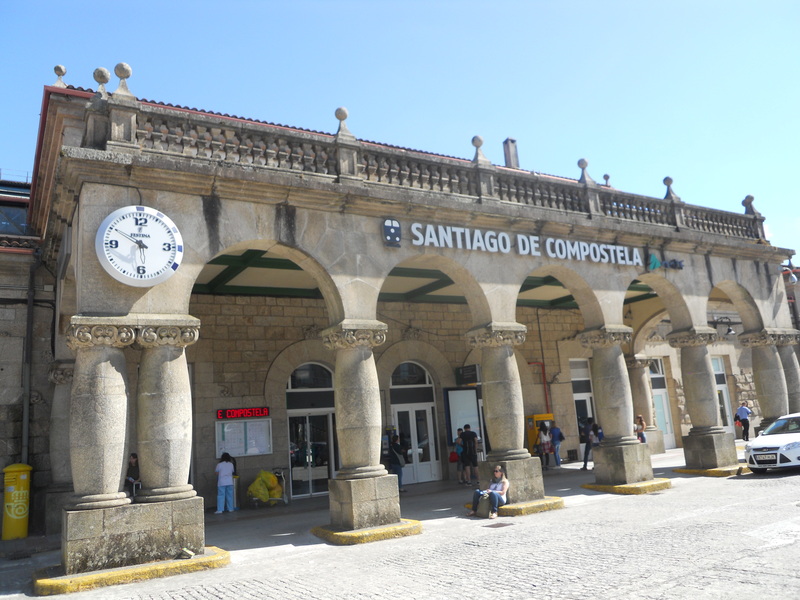 Santiago de Compostela Airport operates several intercity bus routes, offering regular flights to Santiago, Lugo, Sobrado, A Coruña and Burela, with stops along the way. The following car rental agencies are represented at the airport: Atesa, Avis, Enterprise, Europcar, Hertz. Location: Floor 0. A taxi ride from the airport to Santiago will cost € 21 (fixed). For all other destinations — depending on the distance of the trip.